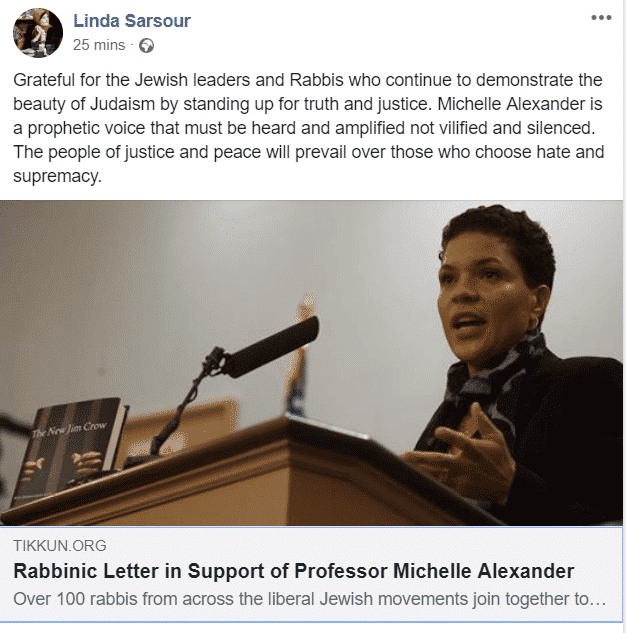 Linda Sarsour has shared a “Rabbinic” letter in support of Professor Michelle Alexander, who penned a letter in the NY Times using Martin Luther King Day as an opportunity to bludgeon Israel. Grateful for the Jewish leaders and Rabbis who continue to demonstrate the beauty of Judaism by standing up for truth and justice. Michelle Alexander is a prophetic voice that must be heard and amplified not vilified and silenced. The people of justice and peace will prevail over those who choose hate and supremacy. Going back to the cherry-picked quote in the “Rabbinic” letter, the “sins of his household” and “transgressions of the people of his community” would most certainly include doing exactly what these Israel-bashers are doing – denying the Jewish right to the land of Israel and speaking ill of Jews who live in their homeland and protect themselves against those trying to murder them. And if we are to be completely honest, it would also include things like desecrating the Shabbat and changing the laws of Judaism like these “Rabbis” almost certainly do. Sarsour’s post is the equivalent of me posting a distortion of Islam, including a cherry-picked quote to support the distortion, and referring to it as the “beauty of Islam.” I am sure Muslims would find that highly offensive, just as I find this from Sarsour. Linda Sarsour seems to think she can continue to bash proud Jews who support a central belief of Judaism (i.e. 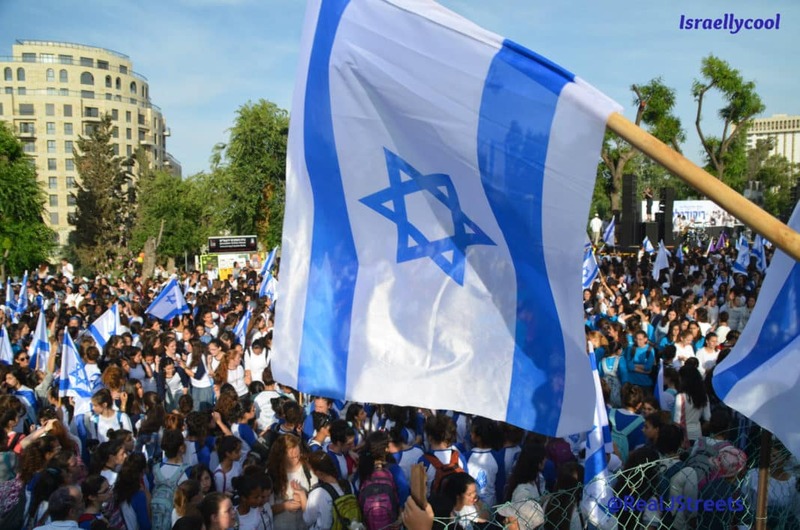 Zionism), as long as “some of best friends” who are Jewish do the same. That does not make her any less antisemitic.